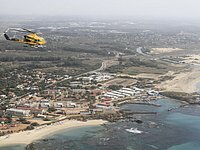 Flight through Haifa, Acre, Nazereth and Rosh Hanikra. Land in chateau Golan winery, for a tour. 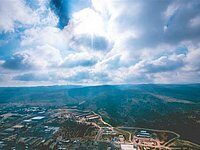 View the snow capped peak of Mount Hermon before your flight back. Travel in style to Rosh Pina to visit the luxurious Mizpe Hayamim hotel. Pamper yourself with SPA treatments and a fabulous lunch or dinner. Add a walk through the magical scenery of Rosh Pina and its artist quarters. 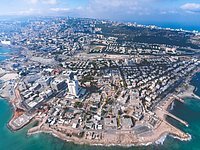 See the major Israeli city with bustling shopping centers and night life. 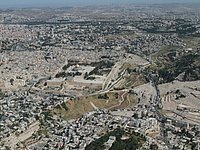 Visit the western wall, church of the holy sepulcher and other major holy sites. Fly over Jerusalem and view the ancient palaces and fortifications of Masada and land at the Dead Sea to swim in the salty, healing waters or enjoy SPA treatments at a local hotel. Rejuvenate mind, body and soul at this ancient retreat. Fly to Eilat, Israel’s southern most city. On the tip of the Red Sea, this enchanting destination offers gorgeous desert landscape and a busy seaport. Take time to explore a dolphin reef, walk the streets of an ancient city, visit the maritime museum, or even ride a camel!